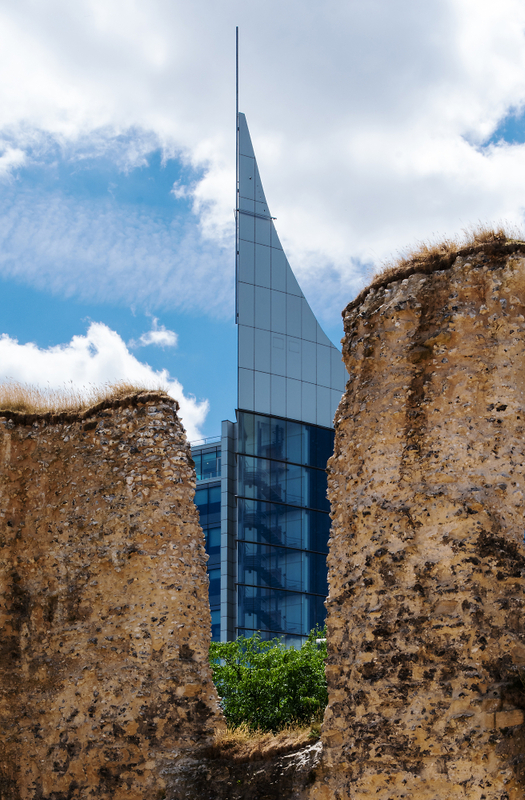 The Blade, also known as Abbey Mill House, in Reading shot through a gap in the recently re-opened Abbey Ruins. Shot last week on a photo club outing to the Forbury Gardens and Abbey Ruins. The ruins were only reopened the previous Saturday after several years of restoration and consolidation work to make them safe. Shot raw then processed inLR6. The results were then cropped and resized in PSE14.